Juvéderm™ injections are done under a local or topical anesthetic to ensure patient comfort. There is no need for any pre-testing because Juvéderm™ is of non-animal origin. All injections are performed by our qualified medical staff. Click here to request your complimentary consultation and get started with one of our Registered Nurses at our Hamilton location (serving Smithville clients). Facial revitalization will change the way you look and feel. 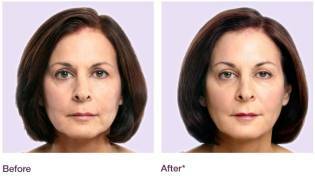 We can enhance and contour to restore youthfulness and beauty. 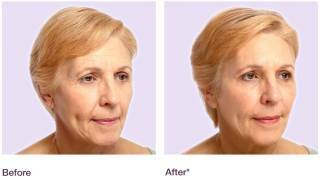 At Laser Aesthetics we use Juvéderm™ as our number one dermal filler. It is composed of hyaluronic acid, a natural occurring substance found throughout the body. It is a complex sugar molecule responsible for tissue hydration and structure. 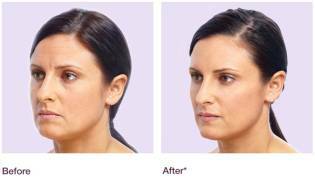 Juvéderm™ can instantly replace or add volume to enhance your natural features. It is a non permanent filler which can last for several months and typically up to a year. This is dependant on the amount of product used and the area that is injected. Additional visits over time are required to maintain results. This can be addressed at the time of your consultation. Treatments are for the most part comfortable to perform. The use of topical anesthetics can add to the comfort level of your treatment. Side effects can include some bruising and swelling. These are typical and resolve quickly. After treatment results are noticed immediately and can continue to improve over the following months. On your first visit at our clinic serving Smithville we will create a personalized treatment plan to help you create your desired look. Our goal is to create balance, symmetry and harmony as we repair facial structures. Contour the chin and jawline. It's time to discover a more youthful and attractive you! At Laser Aesthetics, we respect the privacy of our clients. 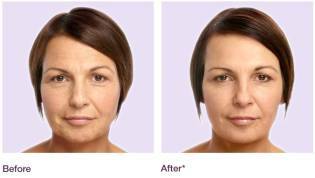 To view before and after pictures please refer to Allergan's before and after pictures online. Laser Aesthetics pictures can be viewed in our Hamilton clinic (serving Smithville clients) during your personal consultation. Click here to request your complimentary consultation and get started with one of our Registered Nurses at out Hamilton location serving Smithville area.